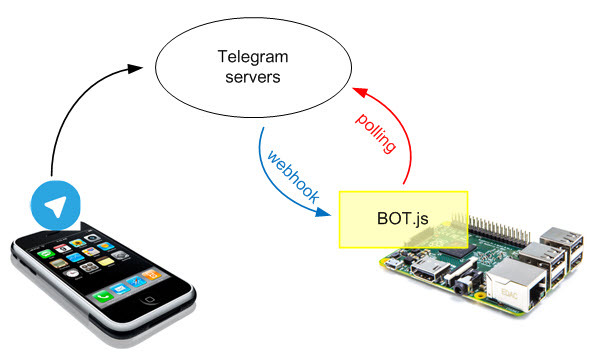 The first step in developing your own bot, is to create it in Telegram. You create new bots or configure existing ones sending the right commands to a “built-in” bot, the BotFather:Start the process to create a new bot sending to the BotFather the command /newbot. You’ll be prompted for the name (display name) of your new bot and for its username. If the process is successful, you’ll receive an authorization token, that is the “password” you must specify in your program to “impersonate” the botThe library installation is super simple thanks to the NPM (Node Package Manager). Create a new folder to save the bot code and, within that folder, type the following command.